Recently I’ve been in a bit of a shooting slump and I’m trying to come up with little projects which might help me out. I’ve always had a fascination with old grain elevators and seeing some shots from other people got me inspired to do some hunting to find structures which might be interesting to shoot. I decided to search Flickr to see what others have found to help focus my effort instead of driving aimlessly about in search of something I may never find. 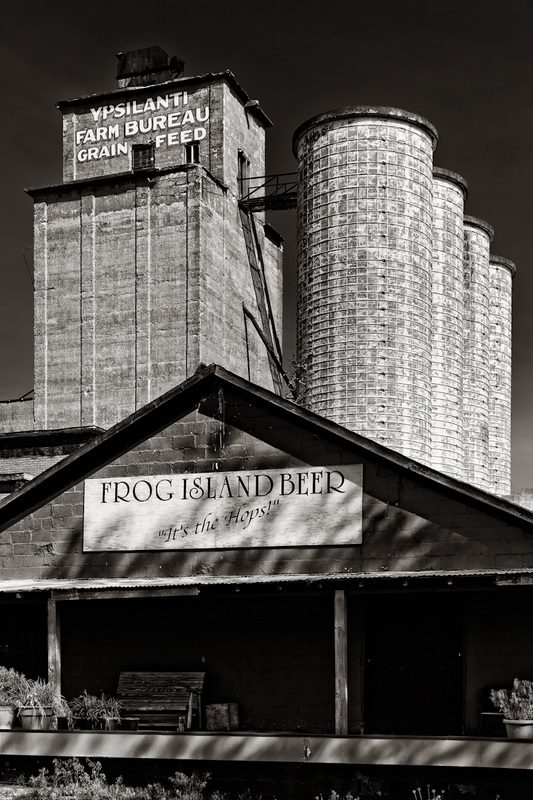 I happened to run across an image of the elevator taken in Ypsilanti, Michigan. I live nearby and I knew approximately where this elevator was located, so I decided to check it out this past weekend and ended up with the shot you see above. 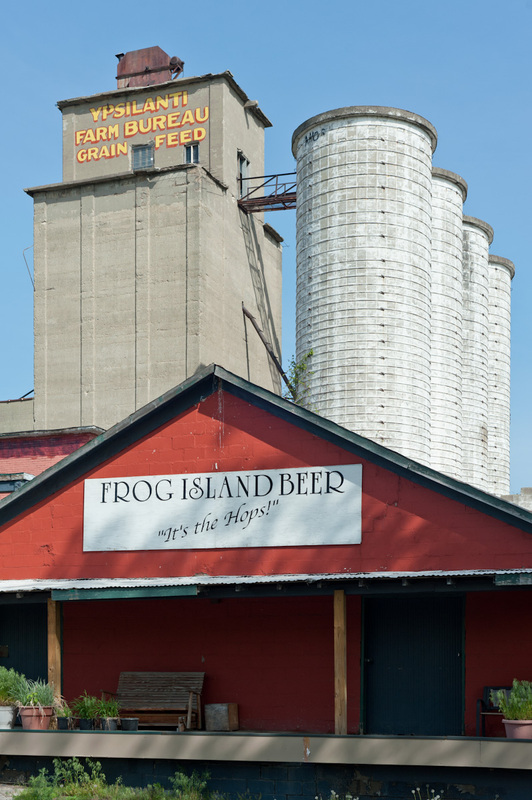 I particularly like the sign for the Frog Island Brewery. Processing involved using Photo Tools and Topaz Adjust to bring out some of the details in the old concrete, and Silver Efex Pro 2 to do the conversion to black and white. Lol – “It’s the hops”. Great b&w photo James, I hope the shooting slump doesn’t last long for you. Nice black and white treatment bud! Good stuff! Fantastic b/w. I really like the detail in those silos. Wonderful work man! Awesome b&w mate, love it!